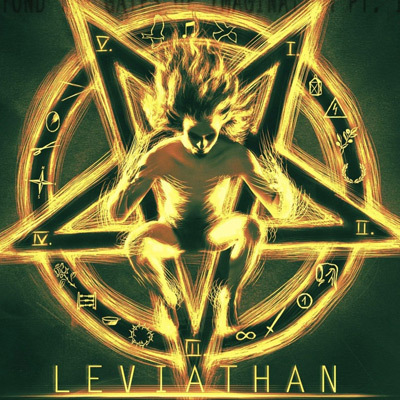 Interview with Leviathan – Restart for making a new history! 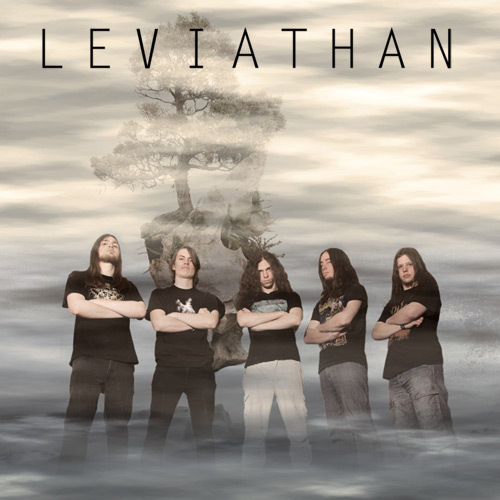 Back in 2010, the progressive melodic death metal force Leviathan released their first CD From the Desolate Inside with concentrated amazing 4 songs. They released 2 fabulous full-length albums after that, but it was the end of an era. During the long hibernation, I was doubtful about their existence in the future, but luckily, I was wrong! The band is back with the energetic new full-length Of Origins Unearthed and finally opened their new chapter. Through the long hiatus, each of you guys had many changes and progresses in your personal lives, right? How have you been and what was the trigger of the reunion? Tobi: Well our lives really have changed over the four years that Leviathan was inactive. Some of us founded families, we got married and all left university and started with daily jobs, but we are personally all in a good place right now. But we never considered getting back together during that time, until a fan from the USA came over to Germany. We had been writing on Facebook for years, so he asked me, if it would be possible to meet the band. I called everyone up and that meeting was the first time that all of us were in the same room since July 2013. And as soon as we got talking, everything became really easy, all the old memories came up and we quickly decided to get back together and reunite the band. Such an interesting story and even touching. So, every one of us should feel thankful to the fan from the USA! 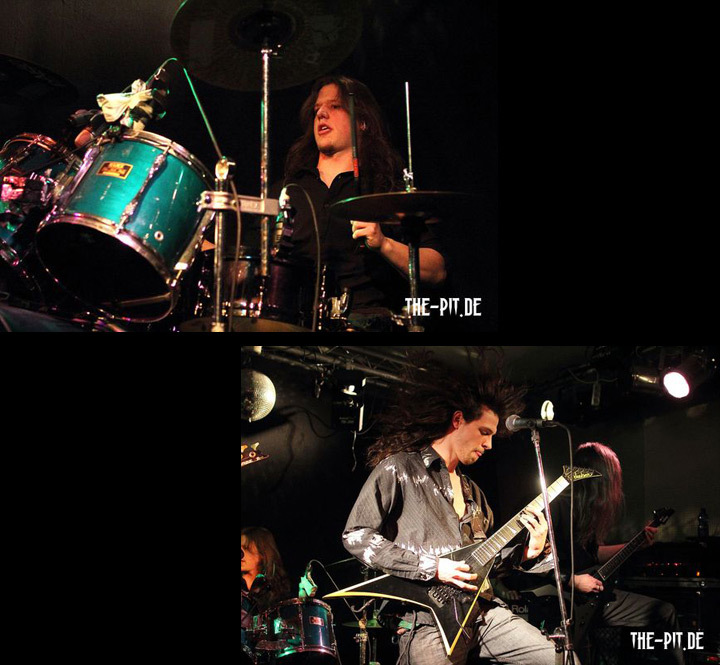 Since I had an interview with you guys for the last time in 2013, Fabian (on keyboard) and Tom (on bass) left the band. Can I ask you the reason why the guys left the band? Tobi: The reason for both was mostly that their lives have changed so much over the past years. Fabian is travelling a lot and he now lives further apart from us, so it was unfortunately pretty early on apparent, that he wouldn't be able to put as much time into the band as we needed him to. With Tom it was pretty much the same. We tried to get him back into the reunion for over a year, but he is very busy with his job and just became a father for the first time, so he actually only managed to rehearse with us one time in that whole year. At the end we just had to let him go, in order to get the band on stage again and to move on. And you decided to go on without an official keyboard player, right? Tobi: Exactly, we have been playing around with the idea of using a backing track for a long time. Mostly since "Beyond The Gates Of Imagination Pt. 1" did feature so much orchestral arrangements, that we were never able to replicate it properly on stage with only one keyboard. And when we now started the band again, we thought this could be the right time to also give a fresh start to our live performance and try to get even closer to the recorded versions with the orchestra in its full glory. To me that still was the right decision, since especially tracks like "Towards The Storm" or "Beneath A Blackened Sky" really sound so much better now. What a relief to know that. As far as I know, Tom was responsible for your past album arts as well. How did you manage the great art of Of Origins Unearthed without him? Tobi: That was really one of our biggest problems, since we have been relying heavily on Tom and his skills when it came to our artwork. But fortunately, when we did our "10 Years Anniversary" shirt in early 2018, we got to know Maurice Mosqua and his company Calvariam Design. Since he had done such an incredible job with the shirt, we decided to just give him a brief outline of what we wanted for the art and just let him come up with his ideas. And what can I say, the result is simply outstanding and we will continue to work with Maurice for our future artworks. The reason that I love the art is the symbolic Leviathan’s character and the current members’ figures tell me like Leviathan (the band) is back as a stronger team with mixture of the typical Leviathan’s style and new elements. Can you tell us about concept of the art? Tobi: For the artwork we really wanted to pick up the idea of origins or rather roots, that is also present in the title. 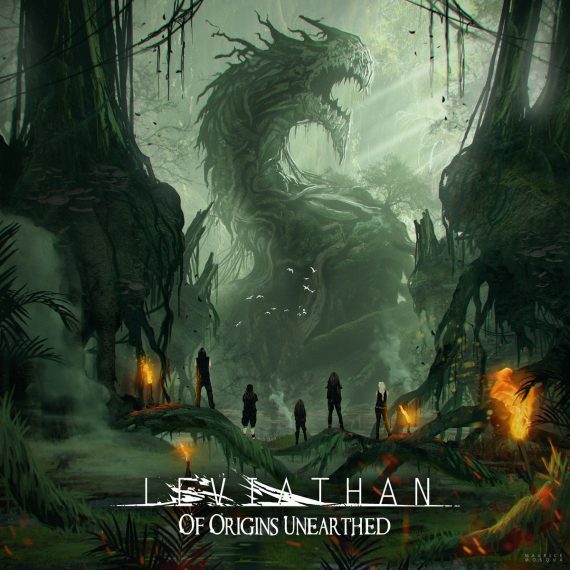 One day I stumbled upon a great picture of a dragon that is formed out of roots, which lead us to the idea of the Leviathan being constructed out of roots for the cover. It was all planned to give you the feeling, that you are just witnessing the resurrection of the Leviathan from its roots. The idea to include the band in the artwork actually came from Maurice and we just loved it, because it really added another dimension to the whole concept - Emphasizing the unity within the band that we have today. To me it is probably the best artwork, we ever had for one of our albums. Check entire lyrics of Of Origins Unearthed on Lyrics Library! Indeed! Well, as you already mentioned about Jule above, could you introduce us your new members: Jule and Hendrik? Tobi: Basically, I know both of them from their former band Skadika, where I did play guitar briefly in 2013 and 2014. Also, probably everyone by now knows, that I am married to Jule. And when we knew that we had to let Fabian go, we really started looking for another singer, who could perform all the parts that Fabian would sing on stage and also to add more variety to our sound. And since I knew that Jule is not only a great singer, but also knows how to run a band since she has been doing that for 8 years with Skadika, she just was the perfect addition to our line-up - musically and in being able to help me with all the organizational stuff behind the scenes. And Hendrik was always interested in playing in Leviathan, ever since I handed him some of our albums while we were playing together in Skadika. 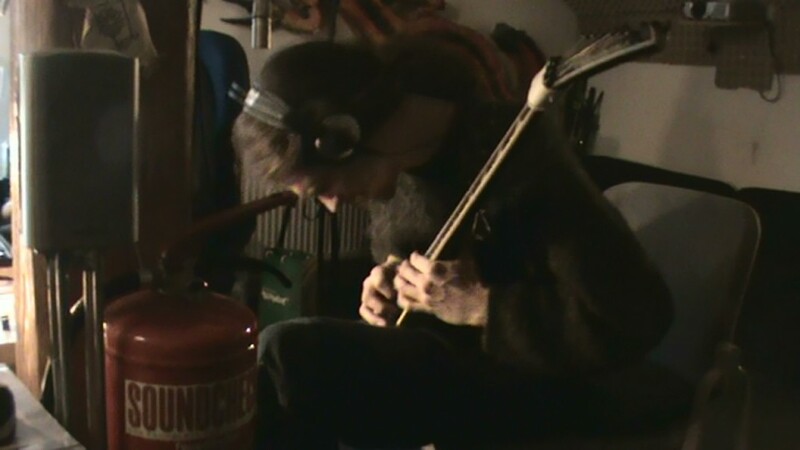 Just one week after I gave him the CDs, he turned up at the next rehearsal of Skadika and started playing the most complicated bass-guitar parts of the Leviathan songs, which really impressed me. And when we needed a replacement for Tom late last year, I immediately called up Hendrik and fortunately he agreed to join right on the spot. Once you made me unsure about the new album before listening to it because of the announcement for a new clean singer as a permanent member. I mean I was simply worried about rapid changes of your music style. However, I found out my concerns were no necessary at all. She did a good job in the album. For you, Tobi, do you have much respect of her not only as your lifetime partner, but also as a brilliant musician? Tobi: We were actually all very afraid, that people would assume that with her addition to the band, the sound of our music would change drastically - which was never the plan. But further on I also feared that people would think, that she only got the job because we are married. That's why I am so incredibly proud of the exceptional job she did on "Of Origins Unearthed", because that will silence every critic, who might have thought she wasn't the right one for the job. Apart from the music, it was really a match made in heaven when I met Jule in 2013. It can sometimes be very difficult to have a girlfriend that doesn't understand how much time and passion goes into making music. But because Jule also was playing in a band, she really gets how much Leviathan and our music mean to me, which really makes life so much easier. Well, when did you start writing new songs for Of Origins Unearthed? Tobi: Actually, we never really started writing new material, since all the material you hear on the album was already written between 2007 and 2009. Basically, before we entered the studio to record "From The Desolate Inside" we already had written the material for the album. But we simply didn't have the money to record a full album, so we decided to go with just 4 songs and release an EP first. And when we finally saved up enough to return to the studio, we were already working heavily on the songs that would later become "Beyond The Gates .. Pt. 1". And after years of playing the old tracks on stage and at rehearsals, we simply weren't sure that we could recreate the same magic in the studio. So, we decided to go on with the new material, but we had always planned to revisit these old songs at some point in the future. Now with the reunion of the band, it simply felt like the right time to return to our roots and finally get these tracks on a record. Okay, now I got clearly why I felt that the new album has a spirit of the early era of the band! As a fan of Leviathan from the early era, I was near to tears when I started listening to the album with “Back to Zero” for the first time. 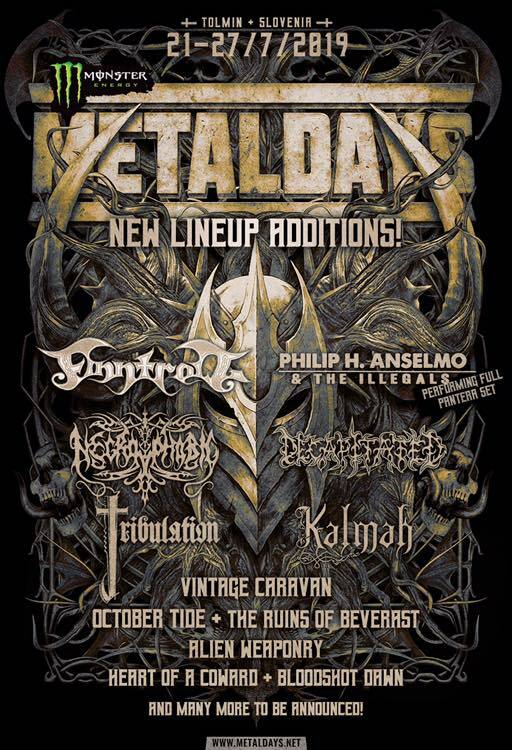 Such a great idea to feature snippets of these old songs : “The Crescent Moon” from the last album The Aeons Torn - Beyond the Gates of Imagination pt.I.II, “Beneath the Blackened Sky” from the second release Beyond the Gates of Imagination pt.I and “A Symphony of No Tomorrow” from your very first release From the Desolate Inside to rewind Leviathan’s trajectory with some nostalgic effect. Yes, it’s literally about back-to-zero and boost up Leviathan’s restart for a new era. Genius and touching! How did you come up with the idea? And then, I got goose-bumps with the kickstart of “Beyond the Stars”. I was totally excited when I found out Jonas’s shouts are still killer and both of you guys (Tobi and Jonas) are great guitar players like you were in the past releases. Did you use any new gears for the new album? If so, could you tell us about it? Tobi: Jonas gear actually still is very much the same as it was on the last record, but for me there have been some changes. In June this year I started a great cooperation with Dutch guitar-manufacturer Serpent King Guitars, who create exceptionally great instruments for a very reasonable price. 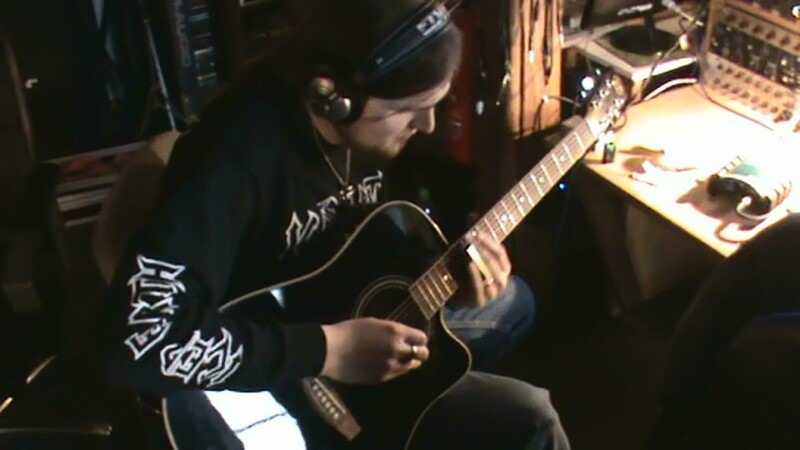 And I used my new Blackfyre guitar for most of the new record. Apart from that it was also the first time that we worked only with digital amplifiers by Italian company Ignite Amps, which are just awesome and allowed us to record all the guitars in my new home-studio, where we ended up producing the whole album. 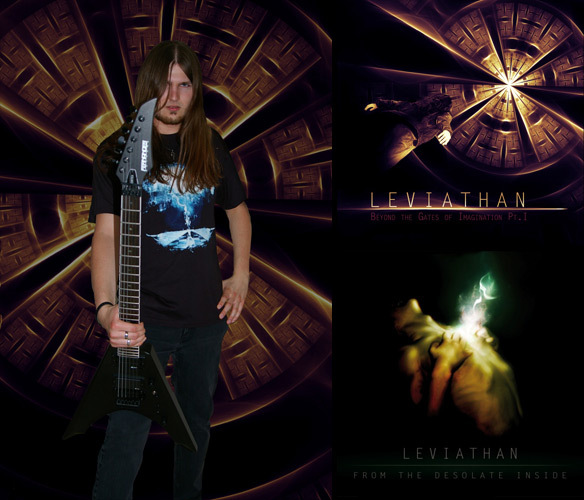 “Proclamation of Death” reminded me of my eagerness for your music, made me happy with the feeling my beloved Leviathan is back! This song is one of the oldest in the album? Tobi: "Proclamation ..." is actually one of the oldest songs on the album, that was written in 2008. It even was in the set at our very first show in 2009 and it is also one of the only songs in our whole history, that I wrote most of the lyrics for. When we revisited the track for "Of Origins Unearthed" we were all actually very surprised how much it has in common with songs like "Servants Of The Nonexistent" or "About Fangs And Feathers", which both were written years later but they all share a very same feeling, with this wall of guitars that just slices through the whole track. “Keep Going” is one of my favorites in the album and it doesn’t sound like death metal with the positive lyrics and melodies, it’s like a boost of life. And in a point of view, it sounds like a message for yourself. What was on your mind when you wrote the song? 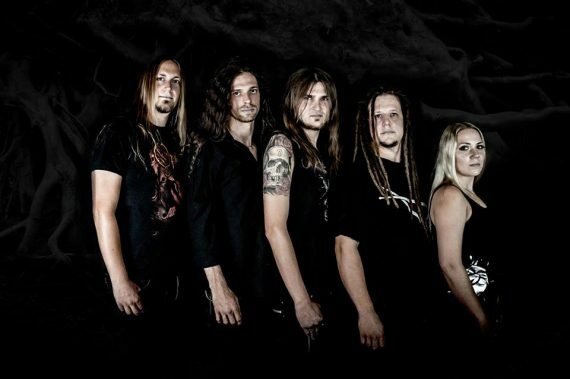 Tobi: It was just that, we really wanted a song that breaks up the whole death metal concept a bit. Normally lyrics in this style of music are dark, which we also love very much. But this time we really wanted to spread a positive and uplifting message to everyone, who might be experiencing a hard time, that will help them to keep their head up and continue to pursue their dreams. And with the fast and very melodic guitars, "Keep Going" just seemed to be the perfect fit for that message. Agreed! Among the metal storm through the album, “The Eye of the Storm” stands just as the eyes of the storm. Why did you insert the atmospheric beautiful tune? 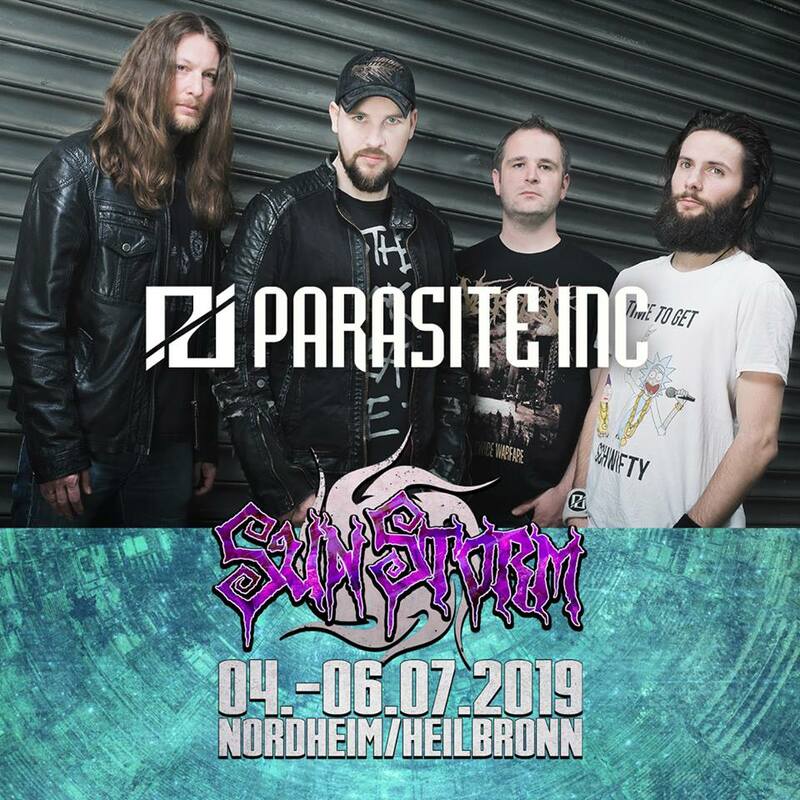 Tobi: It was really the idea to give the listener a little break in the center of the record after the blistering riffs in the three previous tracks. We had written the tune a long time ago, but never really found the right spot for it on any other record. This time with the very fast tracks on the new album, it felt like the perfect place for a rather atmospheric and relaxing song. Another nice effect is, that it divides "Of Origins Unearthed" into two chapters. The first half of the record is a little faster and more melodic, while the second half is a bit more progressive and overall darker. Here we go with the outrageous “Lake of Blood”. Tobias Parke’s drumming is still sharp and tight like before, isn’t it? Was it easy to play again in harmony with him especially extreme tunes like the song right after the long break? Tobi: It wasn't easy at all. After the break we all needed a few weeks to get our own playing up to the level, where it needed to be. And also when we met for the first rehearsal, it really took us a lot of time and work to get everything together. We went in one song at a time and slowly worked our way through our set until we were finally able to perform again at 100 percent. Especially the longer tunes as "Sway Of The Stars" really proved to be a challenge to get just right, but in the end we managed to even get our stage performance to the next level compared to the past. And, “Sorrow” is the darkest song in the album and I can feel pain in it. How do you describe insight of the song? Tobi: It is a song about death in general, the feeling of losing someone close to you. I know that Jonas was inspired for the lyrics by the death of his grandfather, which happened just at the time we were working on this tune for the first time 10 years ago. 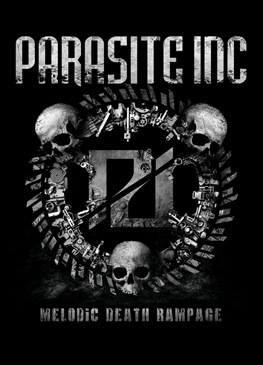 But we never finished the lyrics back in 2008, so when we revisited the tune and completed the words, really all our experiences with death and loss in the past years played into the dark atmosphere of the track. 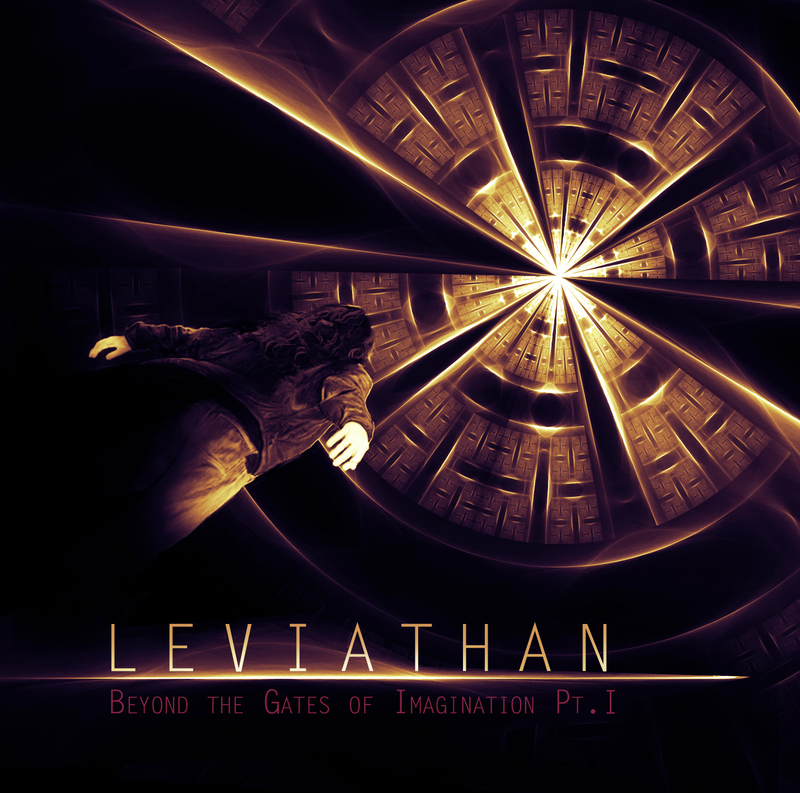 Well, “Come Forth, Leviathan!” is a wonderful instrument tune using various music style. And I found some funny coincidence in the title. 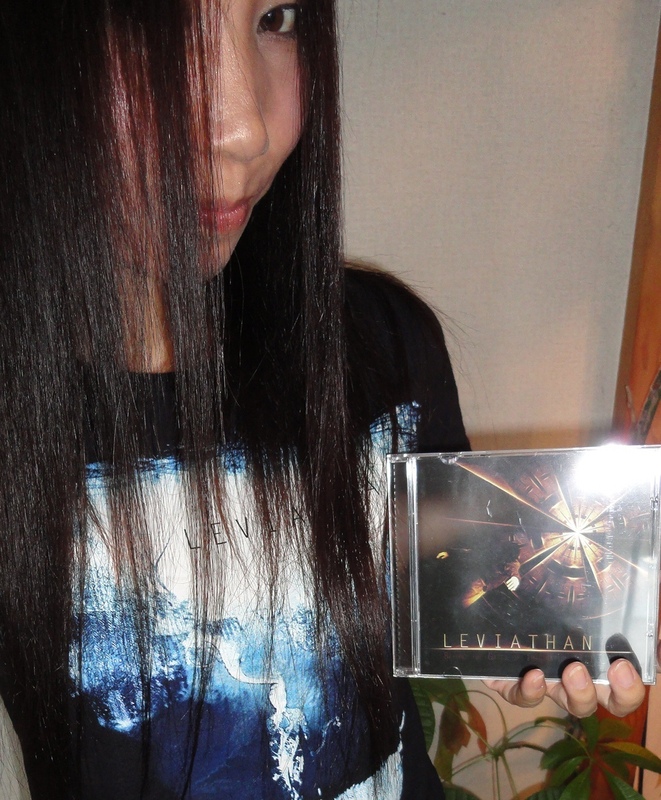 It points not only about the appearance of Leviathan but also about the album four, haha. What did you want to express with the tune? Tobi: We actually started with a blank page for this song, without any overall idea of what we wanted to express. We just let the music carry us away and we went along with the ideas, as we were jamming in our rehearsal space. In the end we then tried to find the right title for it and it just had this majestic feeling to it, fitting to the rising of the mythological creature that the Leviathan is. We also decided to use the name of the band in a song-title for the very first time, since the diversity of the musical influences really sums up perfectly, what we stand for as a band. I guess your abundant musical experiences show us the diversity of the wonderful instrumental tune. Can you tell us your favorite point in the track and why? Tobi: That is a difficult question. I love all of it, but my favorite has to be the incredible acoustic guitar part in the middle, where we took a lot of inspiration form Spanish Flamenco music, but also the great bass guitar solo right before that is something we have never done before. And Hendrik did an outstanding job in improvising this little piece on his fretless bass-guitar. “Whatever” musically shows us various aspects as well together with your universal feature. In my opinion, this is the best song in the album cos it exactly shows us what Leviathan is as the current team. Guitar works are awesome as well. Plus, the lyrics is kinda just-my-type one as well cos it tells about everlasting fight for your freedom. What do you feel with the song? Tobi: It is also my favorite on the album and also my favorite track to perform live. Musically it is such a very diverse piece, with the dark and fast beginning, then the atmospheric acoustic guitar in the middle just before the song turns into a very uplifting and melodic tune right at the end. To me it is one of our best works to date. And also lyrically it has a very positive message just as "Keep Going" has. Fight for your dreams and your freedom, that is really the essence of it all. A message that also does fit very well to the state that our band is currently in, because we also had a lot of bad luck which ultimately lead to the break up, but we returned to continue with what we love. Can we believe Leviathan are fully back to the scene this time? Can we expect more albums in the future? We want more new songs from you in the future then! Awesome! That’s what I wanted to hear from you! Thank you so much for your time with this interview. Keep going, guys! 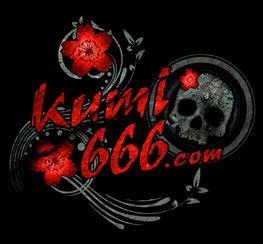 Check all about Leviathan on kumi666.com! As far as I know, the new masterpiece “The Aeons Torn ~ Beyond The Gates Of Imagination pt.2” is held high in the media’s estimation so far. So, congratulations! Did you get a lot of positive feedbacks about the album from your fans as well? Tobi: Well the media's reviews were luckily overall very good, even though we also got a few rather bad reviews. But that was something that we expected from the very beginning when we started to record the new album. It's probably also just natural with all the influences that we have used on this record that some might be unusual to people, but we wanted to take this risk in order to full-fill the musical vision that we had for the album. As far as the fans the reactions have been very good so far. We have never had such an amount of preorders even long before the record was actually released. From the aspects of both lyrical side and musical side, I feel “The Aeons Torn” is more focused to inner adventures than the previous “part I” for its image. I mean the lyrical side in “part I” was a kind of metaphor of some negative sides of the real world, right? Can you explain the global concept of “The Aeons Torn” and each of the songs? Tobi: That is absolutely right. "Part 1" was a lot more about our current problems in the world, "Part 2" now actually takes a look to where our decisions are actually based. And that clearly are our emotions, they are what drives us and what makes us take the road that we are on. And therefore we took a set of 19 emotions or rather human motives that make up the whole themes of the songs. The lyrics are even little riddles describing the emotion that is currently reflected in the music. As far as the single songs, we just split up the emotions and put together what we thought would fit together. The Crescent Moon: This song actually deals with uprising human motives like "Hope" and "Courage". The Rising Darkness: As the title hints we have gathered all the emotions in this part that lead towards a dark path. Like "Hate" or "Loneliness". That is also very much reflected in the dark und rough music of this song. The Sacred Fire: For this song we took all the emotions that drive us or to make the connection to the metaphor in the title that keep our inner fire burning. These for us where motives like "Love", "Pain" and "Reason". The Restless Wind: In this song we deal with some motives that endanger the connection to other humans. For example "Discover" or "Diremption". We are today discovering new dimensions especially in case of technology, but this also bears a lot of danger to distract us from what actually means being human. So rather have contact to other humans instead of spending your time in front of a computer. Elysium: As the title suggest, this song describes the final goal that probably everybody of us has. A state of "Freedom", "Peace" and "Harmony". That is also something we tried to reflect in the very gentle music of this song. It was a nice surprise to hear some major-code tunes in the album –“The Sacred Fire” and “The Restless Wind” in a row. It sounds like one song as a large-scale of work. Why did you divide them in two? 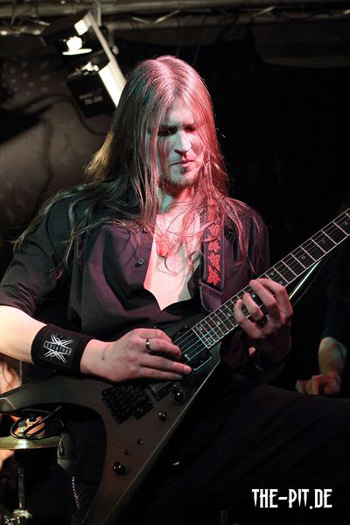 Tobi: Actually the whole material of "The Aeons Torn" was written as one song. We wrote all the music in one line and also recorded the songs as one. In the end we decided that we wanted to give the people the chance to skip to a certain passage of the song, instead of having to listen to 20 minutes until you reach the part you were looking for. That's the main reason why we divided the album into five songs. But it was very important to us that you have this connection between all the songs when you listen to the album start to finish, rather than feeling like you're listening to 5 different songs. I feel you expanded a folkish / acoustic elements plus clean vocals on the album. Was it a natural evolution for the band? Tobi: It's mainly not the natural development of the band and I would also not say that it's the direction that the next album will go for. It just came along with the conceptual approach of the album. If you're trying to create the fitting musical feeling or atmosphere for an motive like "Peace" or "Freedom" you just can't accomplish that with Death Metal, so it just felt natural to go into the direction that the concept took us. As far as the next record, we are currently working on the basic ideas for the concept and as it looks right now the next album will be a lot darker and heavier again. There’s no doubt that every Leviathan fan feel happy to find all songs from the past fabulous EP “From The Desolate Inside” in the new album as re-mastered versions! How did you get the idea to put those songs in the album? 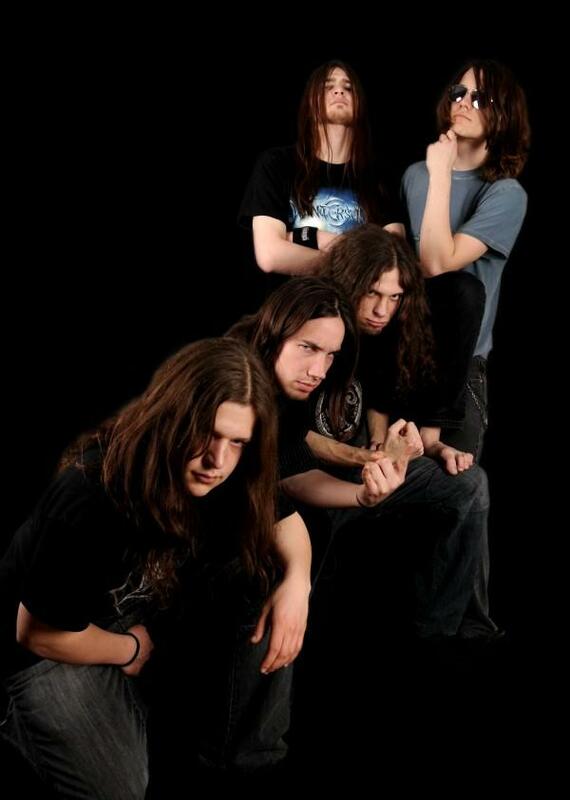 Tobi: We have been playing with the idea of remixing and re-mastering the "From The Desolate Inside" EP for a long time. Back in 2010 when we recorded it we didn't have the experience or the budget to record the EP in the way we wanted it to be. But the songs still are all very dear to us and a fixed piece of our live-setlist. 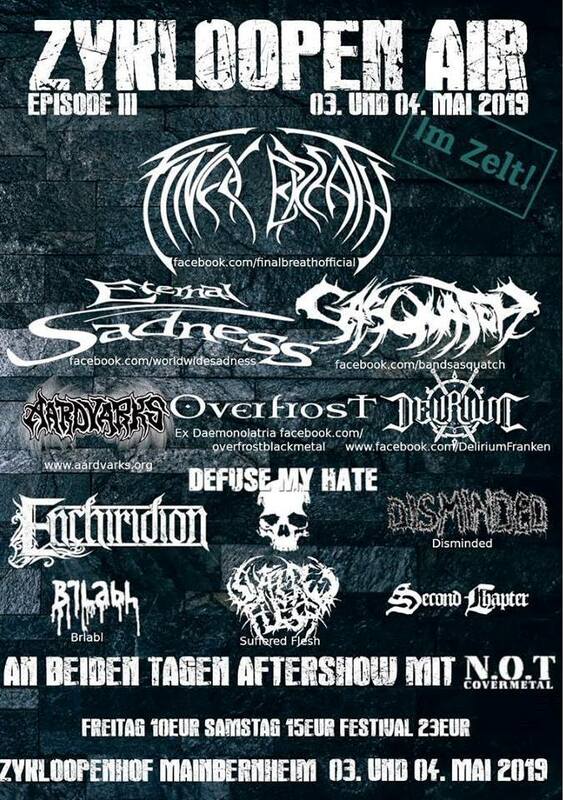 Originally we had the idea to re-release the EP seperately from "The Aeons Torn", but at that point our past distributor Twilight went into insolvency and gave us a very hard time especially in a financial sense. For a long time it was even a question if we would be able to release the new album, so in the end we had to merge both releases into one in order to be able to put both releases out. The whole album artworks are brilliant! You guys managed it entirely by yourself again, right? What does the cover art represent? Tobi: Yes, the artwork was again done by our incredible bass-player Tom, who did all the editing and drawing for the album. As far as the cover-art we wanted it to represent the story of the lyrics. The pentagram is a symbol for the five songs that "The Aeons Torn" consists of and inside the circle around the pentagram there is a symbol for each an every of the 19 emotions or human motives that the lyrics deal with. In the end we decided to put a human figure into the center of the circle and the pentagram as a metaphor for how we are all influenced by our emotions and motives. So basically the cover-art fully represents the lyrical content of the album. Can you explain those artworks inside the booklet as well? Tobi: For the illustrations inside the booklet we though well we have five songs and we have five band members, so why not let every member represent one of the songs. And that is exactly what we did, for each member we tried to capture the mood and the atmosphere of the song that he represents and designed the illustration according to that. Even the symbols that you can see on the cover for each of the motives are also placed in the pictures. So actually the whole artwork is very closely connected to the conceptual background of the album. Well, I guess it’s not so easy to keep going as a band, I mean you didn’t lose any piece of the current members since you released the first EP. What is the secret of your success as a united team? Tobi: That is a part of our history in which we have been very very lucky. But I guess it is because alongside the band also our friendship developed a lot more with each live-show or each week we spent in the recording studio together. 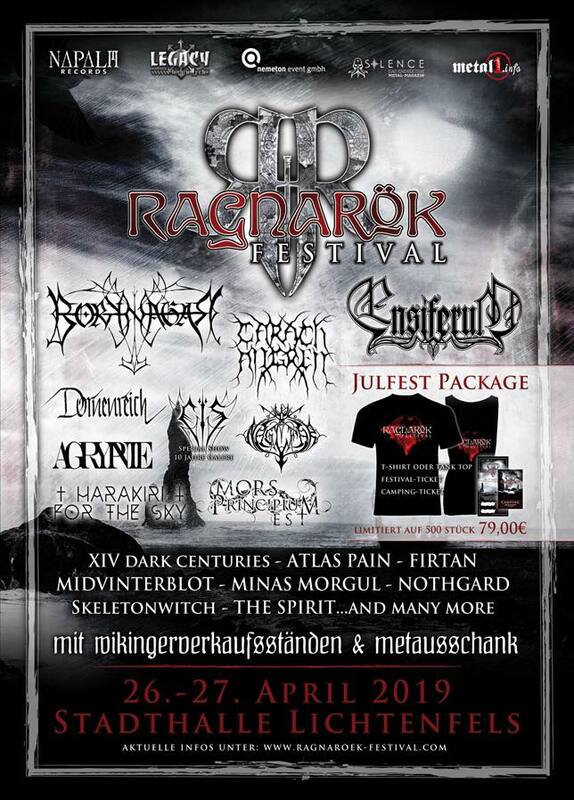 On the other hand I think that a main reason for the stability in our line-up is the fact that everybody is able to bring it's creativity into the band. Be it Jonas as the main songwriter or Tom as the creator of the artwork, each member can give his input into the songs and identify with the music. I think that is a really important part. Can you tell me your upcoming plans about gigs and so on? 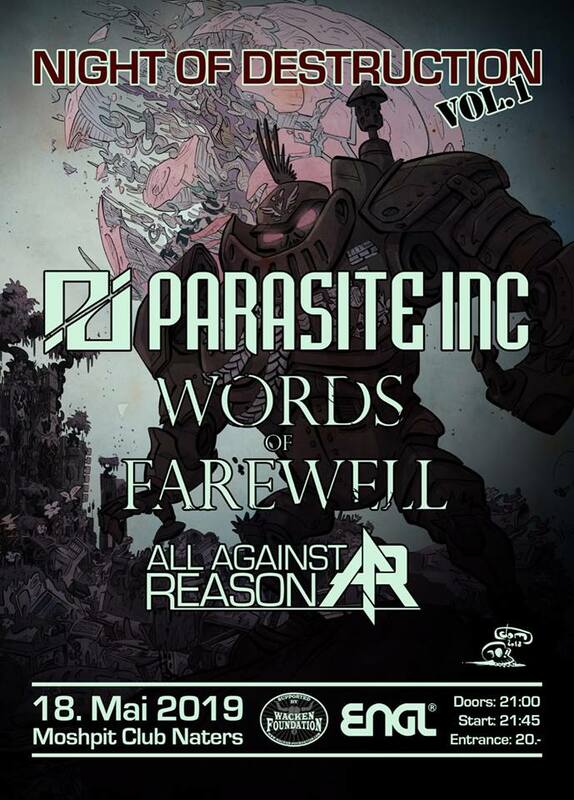 Tobi: Well first of all we plan on touring as much as possible with the new album. Another thing on our agenda is the release of the second single of the current album which will be out very soon. And after that our view slowly moves towards the next record. We already have collected some musical ideas and in addition we have the main points of the concept figured out, so sooner or later we will start working on the new material more intensively. I would love you to leave some message to Japanese fans, please. Tobi: First of all we'd like to thank each and every Japanese Fan for the support we have been receiving in the past month. We haven't had such an amount of orders from any other country. In a way Japan still is a last stand for real music-fans, who support the bands by buying their albums instead of rather downloading it. And we'd like to thank you Kumi for all your support for us in the past 4 years, you've been around for us since our very first release and that is something that we are immensely thankful for! Did you guys check the dramatic and philosophical fabulous progressive melodic death album - Beyond The Gates Of Imagination pt.1 already? They are just in the middle of making the new one and Tobi from the band showed us their recording process, so here we go! 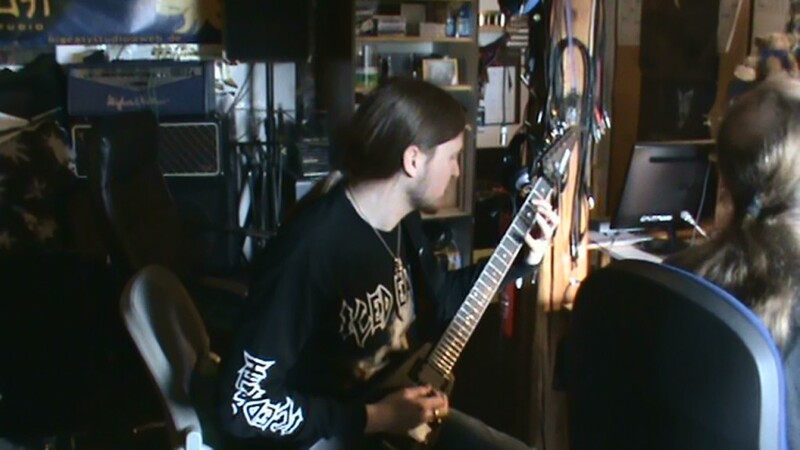 Tobi: This march we returned to the Big Easy Studio to finish our work on "Beyond The Gates Of Imagination Pt.2". 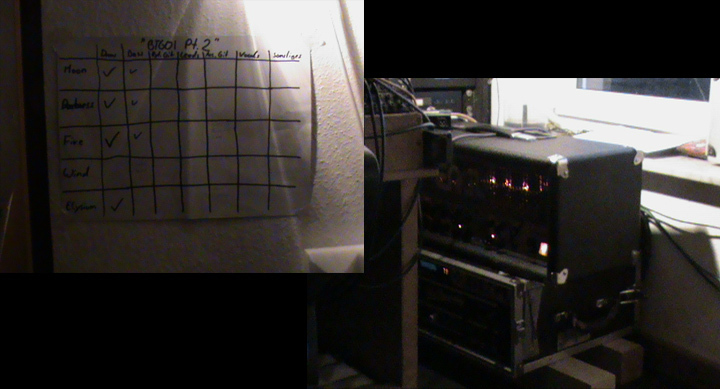 Tobi: On these pictures you can see the cabinets and the amplifiers that we used for the recordings. It's very funny, in every area of modern life digital equipment is taking over, but when it comes to creating a great guitar sound the best thing still is to use a real tube amplifier. That is why Jonas and me still rely on an ENGL / Digitech Racksystem and an ENGL Powerball. Tobi: On the side of guitars, Jonas and myself we usually use our main live guitars that we use on stage also in the studio. 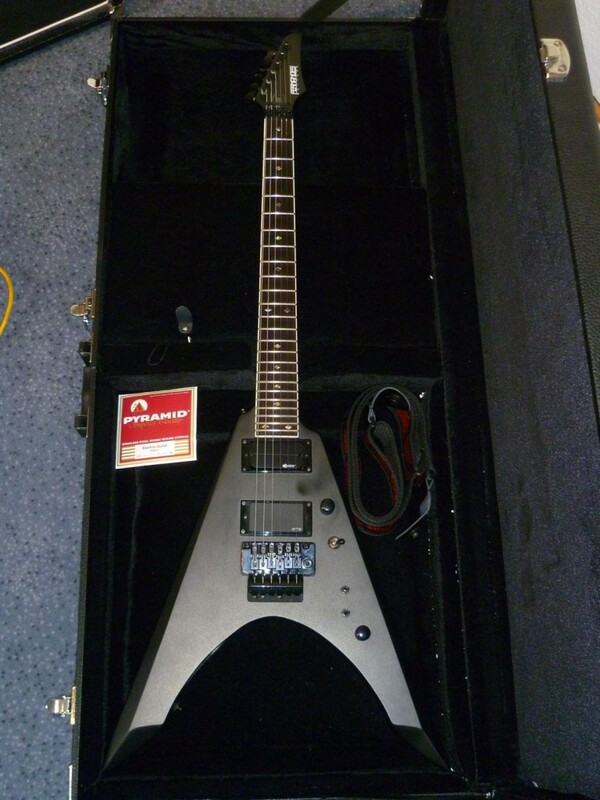 Jonas used his Jackson RR24, that is now featured on every of our releases. 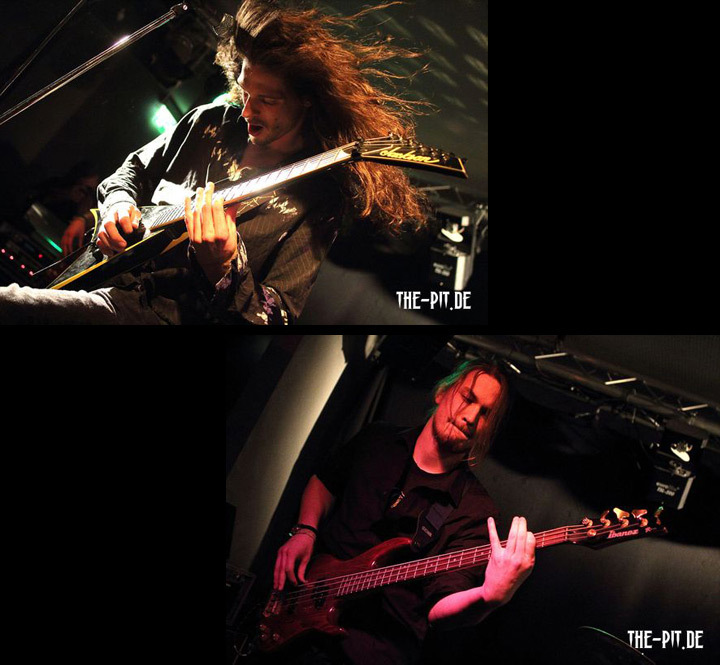 Tobi: …and I recorded all my parts with the brand new Fernades Vortex guitar that I just got right before the release of "Part 1" in September 2011. 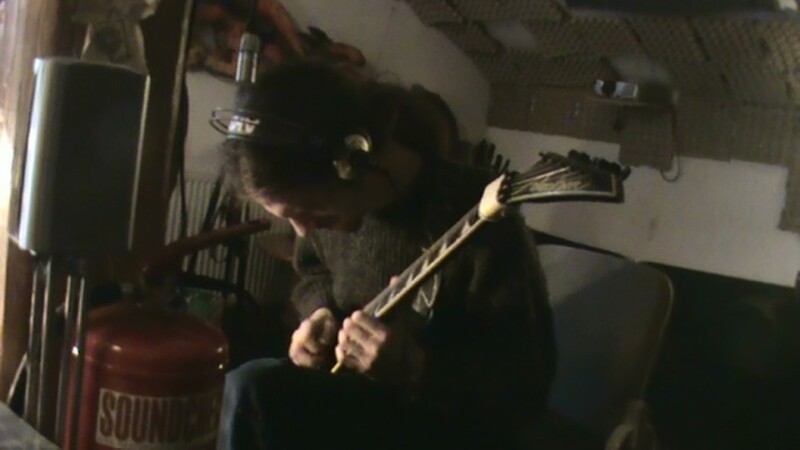 Tobi: On this picture you see the recordings for the slide guitar solo. This was kind of an interesting experiment. 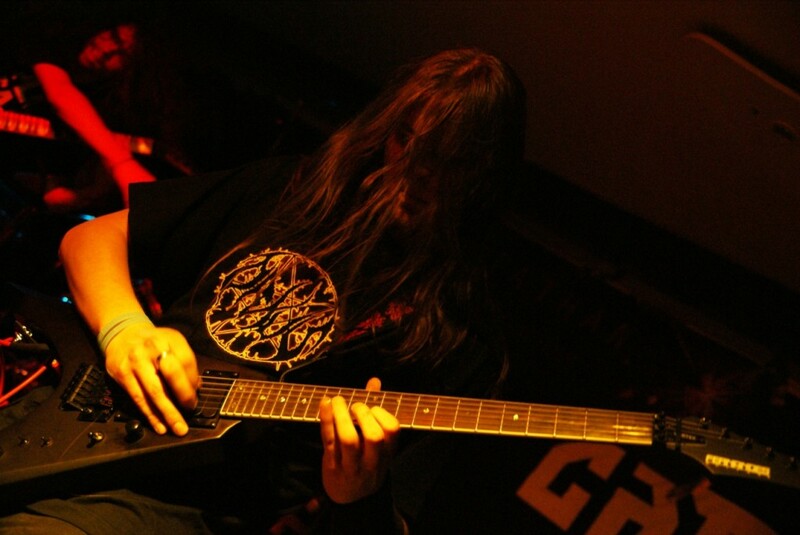 On one hand it's not very common in metal and on the other hand I also had mostly played slide guitar for fun and never with the intension to record something that way. But everything worked out very well and it will give the new record another taste and a wider range of musical variability. Tobi: Talking about the record in general, it is going to be also something surprising for all of you. It still has the typical Leviathan sound, with a lot of keyboards, guitar riffs and Jonas screams. 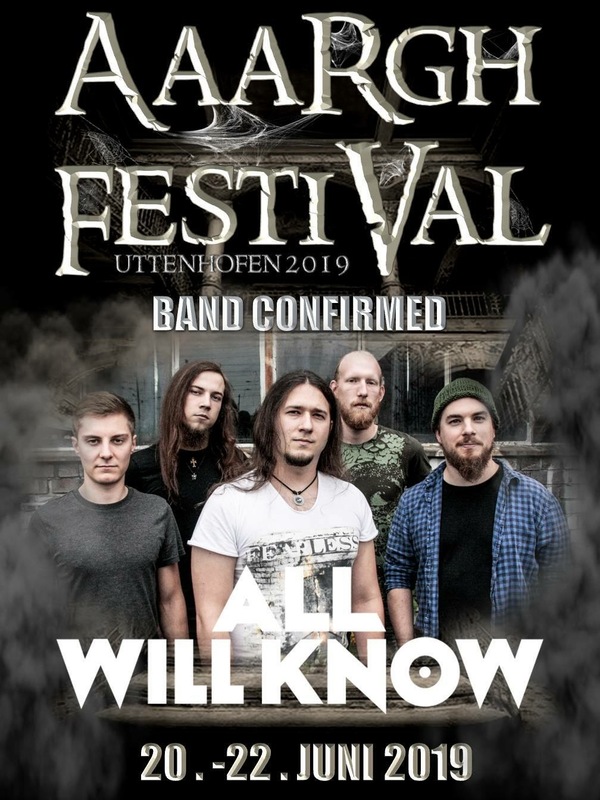 But we tried to again expand our musical universe and this new CD will show you the most dark and heavy parts that we have ever written as well as the most melodic and catchy melodies that we ever recorded. 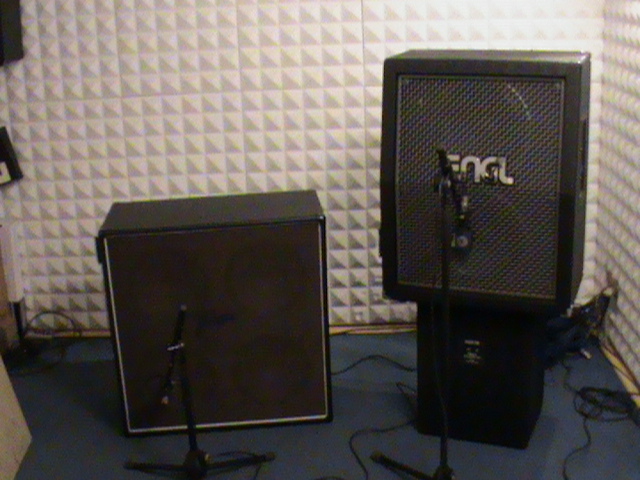 Tobi: On this first picture you can see my ENGL-Screamer amplifier, as well as my 2x12 ENGL cabinet equipped with Celestion V30 speakers. 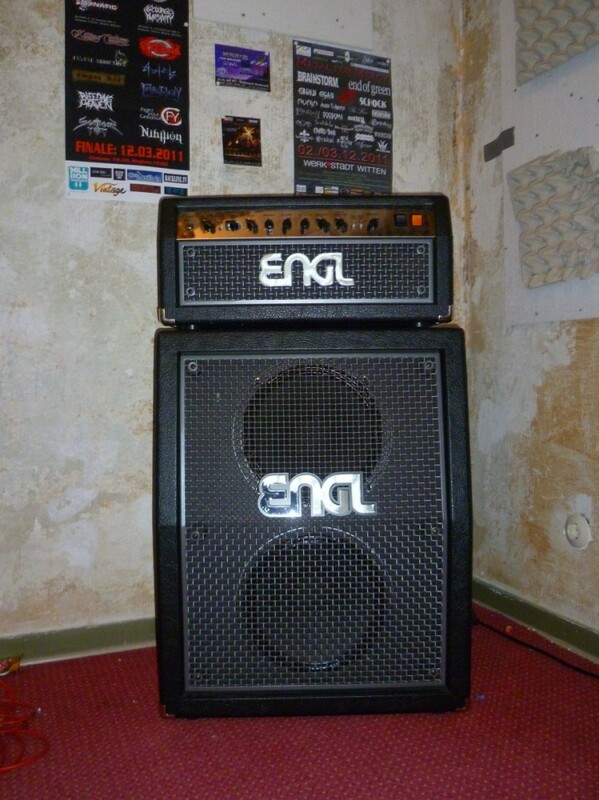 Actually the ENGL Screamer is not the typical amp that you'll see in the area of Melodic Death Metal, simply because it doesn't offer as much gain or distortion as for example other amps of this category. But at least I came to the conclusion for myself that less distortion is a lot better, especially when you play live together with a keyboard. The frequencies of both instruments are very similar and in order to keep the sound of the whole band clear and defined, it's good to reduce you gain output as much as possible. Another thing that I really love about the ENGL is it's very precise tone, the amp tends to separate the notes very clear, which is great if you play fast Death Metal riffs. 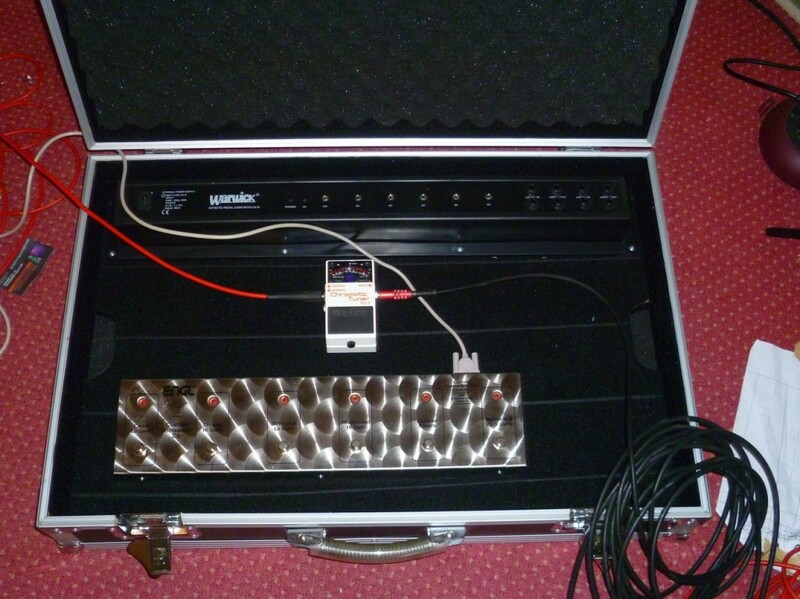 Tobi: Here you can see my pedal-board, or well actually what is going to be my pedal-board very soon. At the moment it still looks very empty, simply because I have just started to build it up. Up to now it only contains what I've been using live so far: My Boss tuner and my ENGL Z5 Footswitch, which allows me to control the different channels of my amp. But a few more pedals are already on the way to join this board. I just recently ordered an Rocktrone Tri-Wah Wah-Wah pedal and I'm still in search of a nice delay pedal to add to my setup. Tobi: And right here you see my still new guitar. The Fernandes Vortex Elite 2009. Ever since I signed my first endorsement deal with Fernandes guitars in summer 2011 this has been my weapon of choice. It's the classical V-shape that you'll know from a lot of players in metal music and it comes along with an EMG 81 in bridge position and a Fernandes Sustainer on the neck. It also features a Floyd Rose Tremolo, something that I really love because it keeps your guitar in tune, no matter how crazy thing get on stage. For strings I use Pyramid guitar strings in scale 010 to 046, which is basically one step thicker than the standard guitar strings you may know. I use this size simply because we tune our guitars down one whole step, to the famous tuning that you might know from the mighty Chuck Schuldiner and his band Death. And last not but not least I wanted to talk a bit about why I use the V-shaped guitar, simply because a lot of people think it's a totally old-school shape that has been used way too much. But it's not just a cool looking shape, it also offers a great advantage to all the other guitar shapes. Because of the two wings at the end of the body, this guitar remains in the same position no matter if you play while standing or sitting. Your arm that rests on the body of the guitar makes it stay in that position. And this is really great because it makes it a lot easier to play also technically difficult passages while playing on stage. I proudly present the awesome song “Beneath A Blackened Sky” by Leviathan from their brand- new album ”Beyond The Gates Of Imagination pt.I” with some statements by Tobi! Here we go! Tobi: "After we had finished the music for the song, we decided very fast to choose this one as the album opener as well as the first single for the new album. 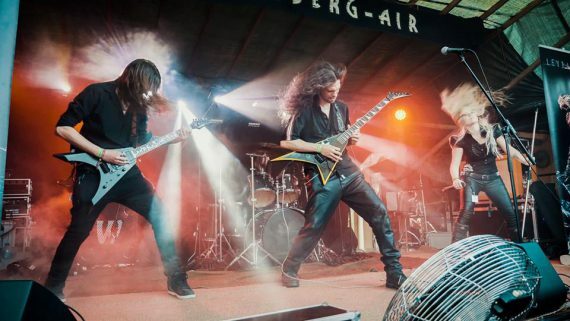 It was very obvious because the song is a perfect summary for the new record, it has everything that you'll find on the album: technical guitar riffs, epic orchestra, a touch of classic melodic death metal and progressive song-structures." 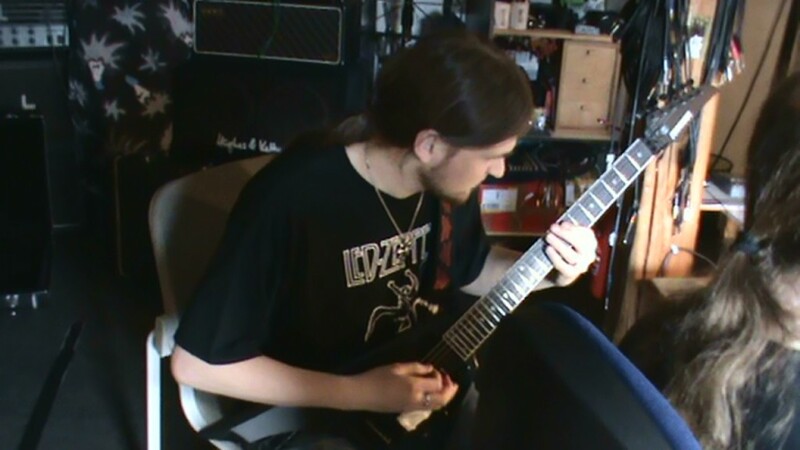 Tobi:　"Well Beneath A Blackened Sky was written actually in late august and early September 2010. I had the main ideas for the first 1 minute 30 seconds of the song as well as the main idea for the chorus. Jonas then worked the orchestra out especially on the intro and after that the whole song really came together very fast. Basically in about 3 weeks we had the whole 6 minutes written." Tobi:　"The Title was also my idea. When I listened to the first ideas I had written down it just came across my mind, this picture of dark clouds rising on the horizon. Jonas was first not too pleased with it, because he didn't have an idea for the story behind the song, but then he came up with this picture of black clouds rising above a black sea, polluted by oil." Tobi:　"Around the time we wrote the song, the media was full of reports about the oil spill in the gulf of Mexico, caused by anj explosion on the oil plant deep water horizon. Jonas then felt like he wanted to write about this topic and came up with the chorus lines and around that he build the whole story of the song. Basically the whole song is about the cruelty with which corporations run a high risk for the environment and the wildlife just to increase their profit. This is something that too many people tend to ignore until finally a catastrophe like the one in the gulf of Mexicon or Fukushima happens. 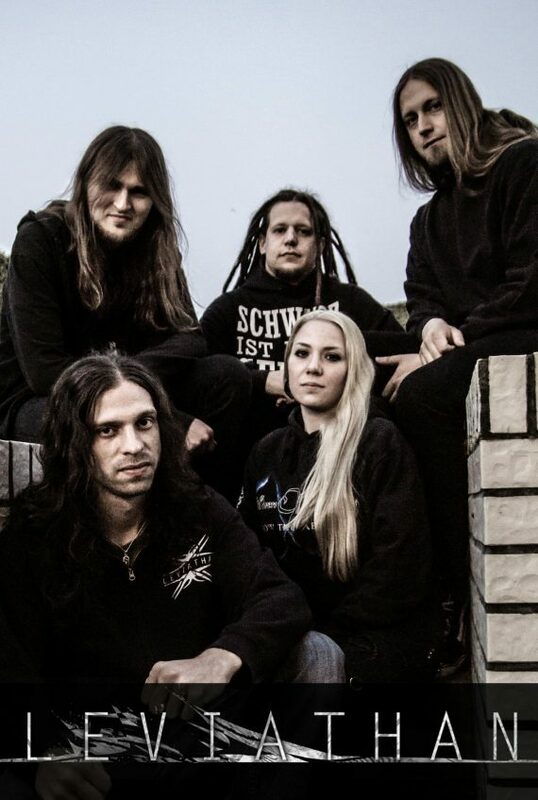 As you found out after listening the song “Beneath A Blackened Sky”, they accomplished making much greater music than their past and has huge grown up! The album is already out on September 16th! You can download the song as free on their Myspace by the way, check it out! 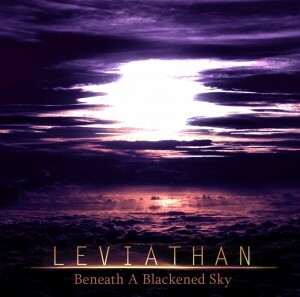 Leviathan Myspace - "Beneath A Blackened Sky" free download available! 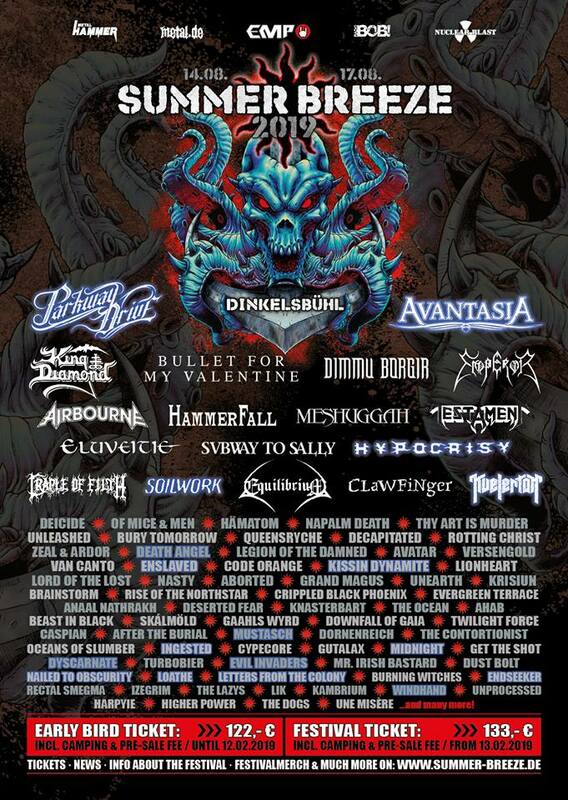 As you know I’m not a critic from a press, so I can’t write about the music objective with any technical terms, I’m just a tiny metalhead and eager to visit their philosophical dimension, that is all. It started with tick-down sounds by the way. I turned the first page of the booklet and listened carefully to the instruments tune “Prologue”, was feeling a bit weird…I mean I started kinda loosing a balance in my body… can’t describe it well but honestly felt so. Slowly came down when the tune faded away, and then, sounds of waves reached my ears… Hell yeah! I already know this song very well and love it so much… “Beneath A Blackened Sky”. Phew, such a progressive and dramatic tune with the darkened lyrics!I became more fan of the song coz I finally listened it without any compressions, yay! Anyway, we all human beings have been betrayed our Mother Nature over and over again for a long time, and now I’m standing in the polluted blackened oily water and listening to the last scream of Jonas “No one will forget, no one will forgive you…”. In the end of the song, I closed my eyes with silence except the sound of God-box. Oh, by the way, Tom in the first page of the booklet looks like the Rodin’s sculpture :D Yeah, Leviathan has their own philosophical sense in the lyrics as you know, and the artworks in the album as well! Well, it exploded suddenly with totally overwhelming instruments and vocals!!! Actually “Where Light And Death Unite” is my latest favoriteAnyway, I remembered one of my favorite quotes "There never was a good war or a bad peace." by Benjamin Franklin with the lyrics. The next one called “Reaper’s Edict”, Tobi told me the song is one of their oldest writings before… turned over the booklet, you can see the lyrics and the photo of Tobi, one of his hands is getting vanished in smoke… the photo and the lyrics scared me anyway. Only the guitars sounds more emotional than others. “Servants Of The Nonexistent” has started with a song of bards ( Is this correct??? ), now I’m traveling to some ancient world. This is the most exotic tune in the album. Impressive! 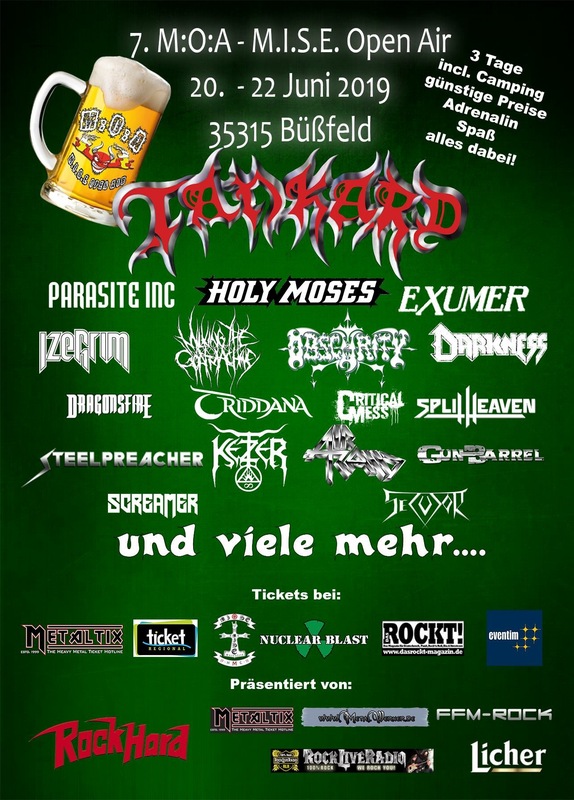 :D Fabian’s clean vox are totally new to my ears by the way, and the photo of Tobias(P) is trying to catch something…. You know, if you really want to listen to the album, you need to concentrate it and need to allow your imagination to run wild for sure! Actually, the first time I listened through it I felt it’s totally complex! :D Yeah I like progressive metal of course but I can’t say am a big fan of Opeth, haha. Anyway, I love Leviathan’s philosophical world so much! By the way, I have to describe something about their dimension again… All songs in the album have obviously strong trait of contrast between calmness and intensity, it makes their tunes more extreme. 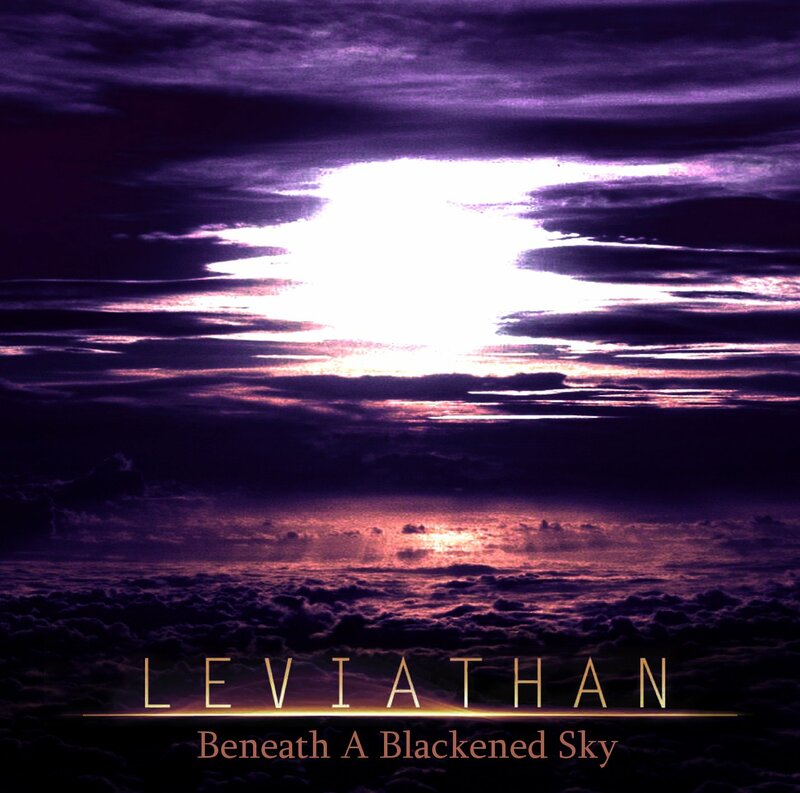 I want to say “Congrats!” to all Leviathan guys, they’ve done such an awesome job, seriously!